According to a statement from the US Food and Drug Administration, 109 cases of cyclospora infection have been added to the numbers tallied since May. 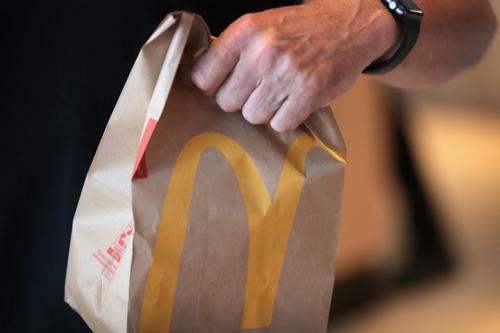 The ongoing outbreak linked to McDonald's salads claims a total of 395 cases of sicked customers. So far, 16 of these cases have been severe to the point of hospitalization. The cyclospora parasite affects the intestinal health of those who consume tainted water or food. The parasite is spread through faecal matter. Somehow, it got hold of Mcdonald's salads. According to the Centers for Disease Control and Prevention, those who are hit by this infection can suffer from a slew of symptoms, including frequent, sometimes explosive bowel movements as well as diarrhoea. Sick individuals can also suffer from vomiting, nausea, gas and fatigue. Others can experience flu-like discomforts in addition to body aches, fever, headaches, etc. To date, 15 states are involved in these cases of illness: Connecticut, Florida, Iowa, Illinois, Indiana, Kentucky, Michigan, Minnesota, Montana, Nebraska, Ohio, South Dakota, Tennessee, Virginia and Wisconsin. Hopefully, this will be the last batch of these cases. Customers might want to avoid the chain altogether or simply refrain from ordering salads at the fast food joint for a while.